Krypt Towers specializes in manufacturing universal wakeboard towers that look like custom towers. We have over 10 years of innovation, design, and fabricating state of the art products. 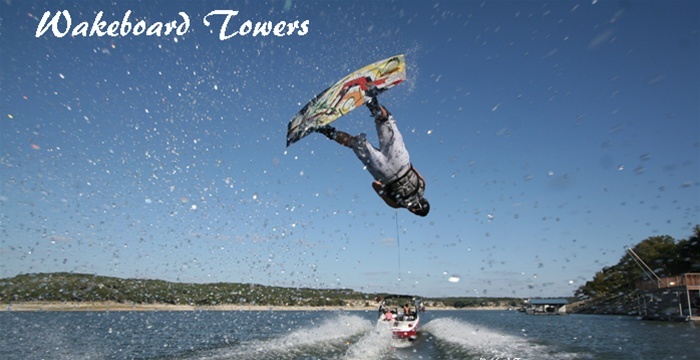 Each wakeboard tower is designed, prototyped, and tested to withstand all forces and abuse a tower will normally receive, and then we design the tower to handle 25%. Krypt Towers have great looks, designed with 2.25" aircraft grade 6061 polished aluminum, and are rattle free. Turn your old boat into an updated wakeboarding machine today. Our selection, pricing, and satisfaction guarantee make owning any of our products an easy choice. Krypt Wakeboard Towers' Navigation Light on a Clamp. Our Navi on a Clamp solves the problem, and is super easy to install. Solid aluminum wakeboard tower that will make any boat look great. This tower has sleek lines that make it look very similar to a custom tower. Your choice of black or polished. Solid aluminum wakeboard tower that will make any boat look great. This tower has sleek lines that make it look very similar to a custom tower. Your choice of black or polished. 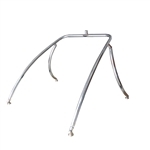 Universal polished aluminum wakeboard tower with 2.25" fat tubing. This tower has the new popular extreme swoop single bar design, and is designed to look very similar to a custom tower. Tower comes in your choice of black or polished. Solid aluminum wakeboard tower that will make any boat look great. This tower has sleek lines that make it look very similar to a custom tower. Your choice of black or polished. Swass Wakeboard Tower Package with 2 x Racks and Wakeboard Tower MIrror - Your choice of black or polished. Swass Wakeboard Tower Package with Folding Over Tower Bimini Top - Your choice of black or polished. Reverse Arch solid aluminum wakeboard tower that will make any boat look great. This tower has sleek lines that make it look very similar to a custom tower. Your choice of black or polished.